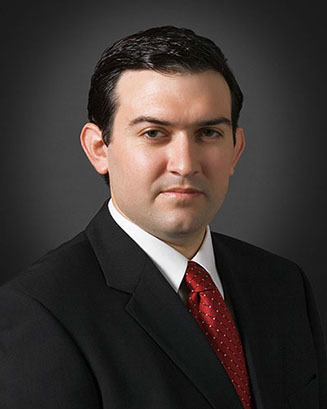 Prosecuting and defending civil lawsuits, such as personal injury claims, business disputes, contractual disputes, unlawful detainers (evictions), medical malpractice claims, etc. Assisting individuals in the preparation of important estate planning documents, such as a will, trust, durable power of attorney, and advanced healthcare directive. Providing services to business men and women, such as the formation of corporations, limited liability companies, partnerships, drafting articles of incorporation or organization, preparing or amending operating agreements. My family has been practicing law in Los Angeles County for three generations. It is a privilege to practice law, and I take the duty seriously. My business philosophy is to provide honest, effective legal services to my clients at reasonable hourly rates. If you need assistance with a legal issue falling within one of my practice areas, or simply have questions, please call my office at 1 (310) 839-5179 and ask to speak with me. Initial consultations are always free of charge. I graduated from the University of California at Santa Barbara in 2003 with a Bachelor’s Degree in History. At UCSB, I was active in student government, serving as an elected representative on the Associated Students Senate for two years. I studied abroad for a semester in Cordoba, Spain, and was active in outdoor activities such as hiking, rock climbing, swimming and snow sports. Following my undergraduate degree, I attended Thomas Jefferson School of Law in San Diego, California, where I graduated with a J.D. in May of 2007. I was granted a full academic scholarship to attend Thomas Jefferson after scoring in the top 3% of LSAT (Law School Admissions Test) takers in 2002. While in law school, I was a member of the Admiralty Law Society, and team captain of the Duberstein Bankruptcy Moot Court competition team, competing in a national competition held at St. John’s University in New York. I took and passed the California Bar Exam in July of 2007. I am currently admitted to practice law in the State of California, and the United States District Courts (Federal Court) in the Southern, Eastern and Central Districts of California. After passing the bar exam, I worked as an associate attorney at two large national law firms before going out on my own. Setup a Free Initial Appointment today!